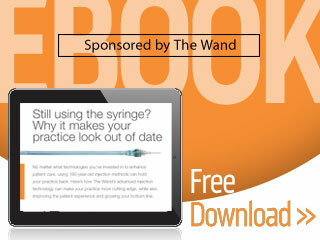 Free E-Book: Still using the syringe? Why it makes your practice look out of date. No matter what technologies you’ve invested in to enhance patient care, using 160-year-old injection methods can hold your practice back. Here’s how The Wand’s advanced injection technology can make your practice more cutting edge, while also improving the patient experience and growing your bottom line.